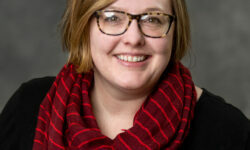 As one of West Michigan Partnership for Children’s performance and quality improvement (PQI) coordinators, Alanna Hyatt is passionate about getting individuals excited about data, among other important variables. Her time at WMPC has helped her recognize just how important and how necessary data is in helping improve outcomes for any cause. I have the lead role in the performance and quality improvement team, and my responsibilities include managing and conducting annual contract reviews for our private foster care agencies and supportive services. 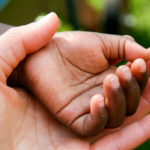 I also continuously monitor the performance measures and outcomes for foster care in Kent County. The most rewarding part of my job is interacting with the staff at different foster care agencies. I love getting different perspectives on ways to improve foster care, child outcomes, and family engagement – and also, getting individuals excited about data! This is the first time that I have worked for a program that I feel truly supports both professional and personal growth. I appreciate the support I’ve received from the leadership and my peers. 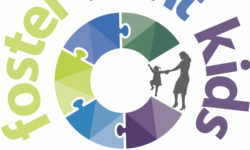 It’s been an adjustment to develop and implement outcomes in our local foster care system, while learning and staying up to date with the industry at the same time. 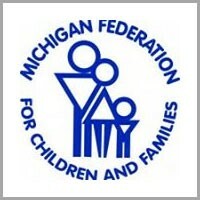 It’s a huge task, but I’m so excited to already see the change WMPC is making for children and families in Kent County. I absolutely love change, and I love innovation and the collaborative influence that WMPC brings to Kent County. I wanted to be a part of like-minded, passionate individuals that promote growth both internally and externally. 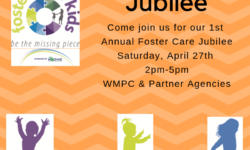 That staff working within the foster care field are very hard workers and are very passionate about the families in the system. It’s very hard job emotionally and mentally, and I have so much respect for the foster care agencies and workers that engage with families on a daily basis. 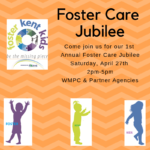 In the future, I hope WMPC can continue to improve outcomes for children and families by creating smaller programs integrated in every Kent County community that supports education and health care for foster children. I am very excited to see what WMPC will look like five years from now!